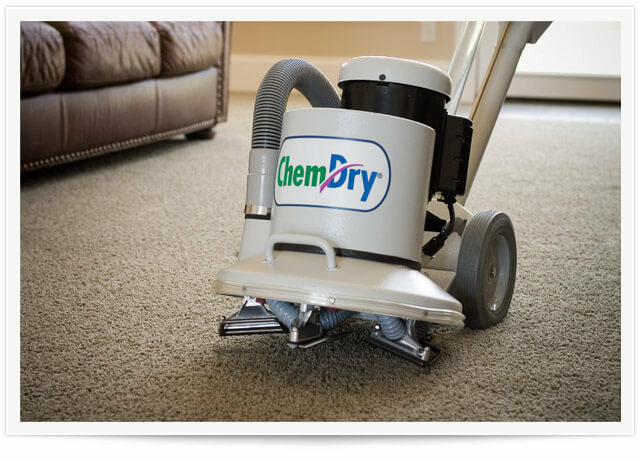 Chem-Dry Four Seasons’ innovative Hot Carbonated Extraction carpet cleaning process deep cleans carpets using 80% less water than typical steam cleaners, meaning your carpets dry within just a few hours, rather than a few days. With Chem-Dry Four Seasons in Everett & Edmonds, you’re getting a healthy cleaning process that utilizes the power of carbonation to clean deep and remove tough stains. Get more out of your carpets by calling Chem-Dry Four Seasons. Our innovative approach to carpet cleaning results in cleaner and healthier carpets in Edmonds and throughout Snohomish County. Chem-Dry’s® unique Hot Carbonating Extraction (HCE) cleaning method is unlike any other carpet cleaning in Edmonds. 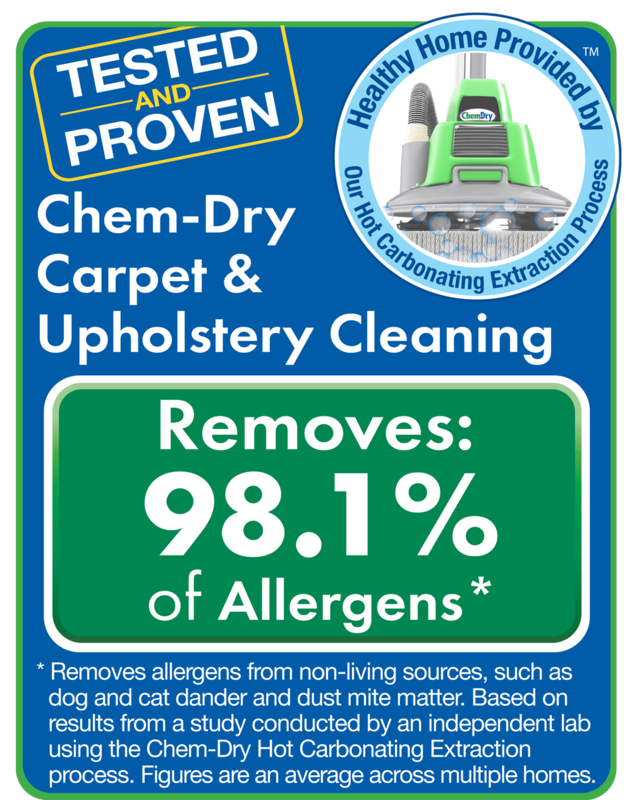 Along with our core cleaning solution, The Natural®, you get carpet cleaning that is tested and proven to remove 98% of allergens and 89% of bacteria in the air. Call us and experience it for yourself! We provide industry-leading furniture & upholstery cleaning services in Edmonds, Everett, and the rest of Snohomish County. Don’t settle for mediocre service – Chem-Dry Four Seasons will deep clean your furniture with incredible results! We clean both residential home and commercial business upholstery with the power of Chem-Dry’s® Hot Carbonating Extraction (HCE) process. We are redefining what clean furniture looks like. P.U.R.T.® is an innovative cleaning process specially formulated to remove urine odors. Time and time again, the P.U.R.T.® results have been proven effective – even on the worst urine-soaked carpets out there. Rather than simply masking the odor, the urine is destroyed at the source. 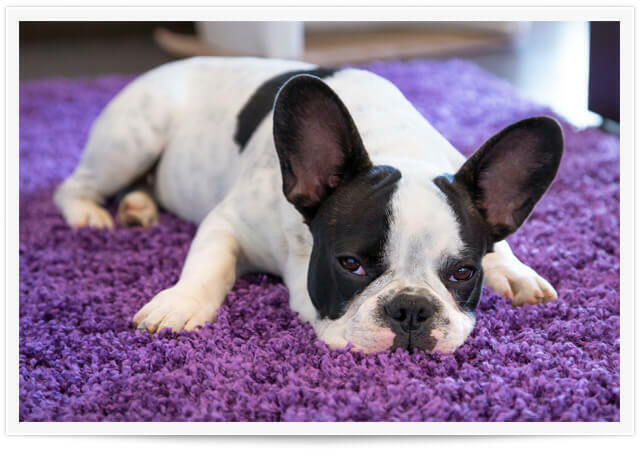 Chem-Dry® removes 99.9% of pet urine odors from carpet and 99.2% of bacteria from pet urine in carpet. Pet stains & odors don’t stand a chance with Chem-Dry Four Seasons. 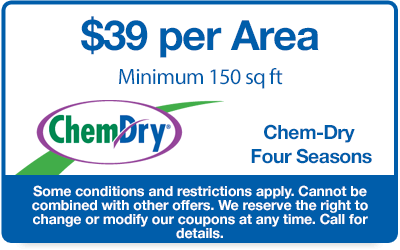 Chem-Dry Four Seasons is independently owned and operated by Sergio Marroquin. Since 2008 Sergio and his technicians have been offering both residential and commercial carpet cleaning services throughout Snohomish County, Washington. Their top-quality carpet and upholstery cleaning services are hard to beat. As a local cleaning company, we treat our customers like friends – because they are. Excellent customer service and superior results are what we strive to deliver every single day. Our number one goal is to help you keep your home and family as healthy and clean as possible through the quality of our work. “We have tried other services including Chem-Dry. However, Sergio with the Edmonds office was fantastic. Clean, polite, and our carpet never looked better. You will not be sorry.” – Ted V.
Chem-Dry Four Season’s revolutionary carpet cleaning method is what makes us different from the other carpet cleaners in the Snohomish area. Our Hot Carbonating Extraction is both powerful and gentle – it uses a fraction of the water that most carpet cleaners use, allowing the carpets to dry much quicker – only a few hours! For cleaner and healthier carpets, Chem-Dry® is the natural choice. 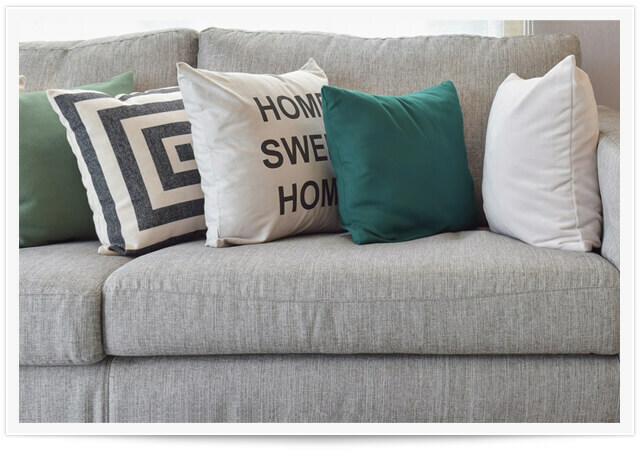 Any type of furniture or upholstery can be deep cleaned by Chem-Dry® Four Seasons’ top-of-the-line cleaning solutions and innovative technology. Even deep stains and spills stand no chance against our hard-working technicians and state-of-the-art cleaning technology. 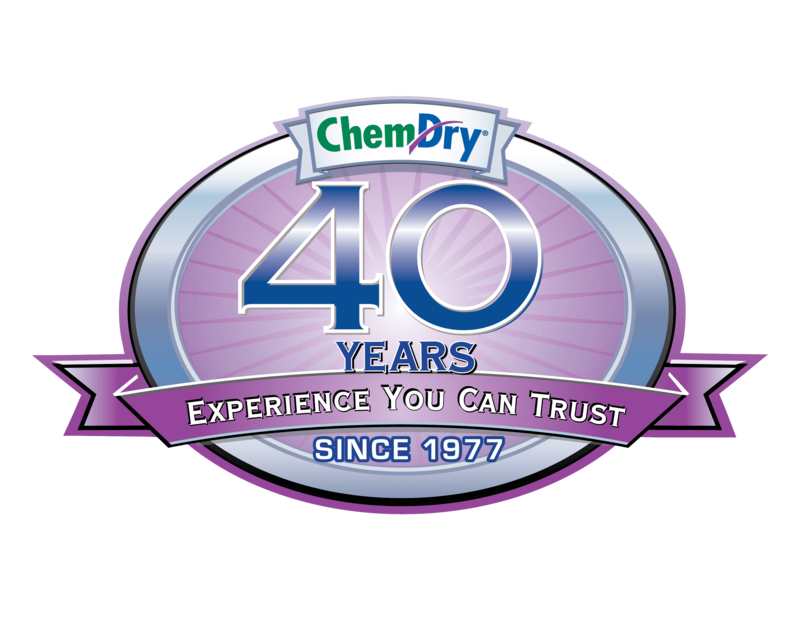 If you want your furniture and upholstery to look as good as new, call Chem-Dry® Four Seasons. If they can’t get it clean, nobody can. 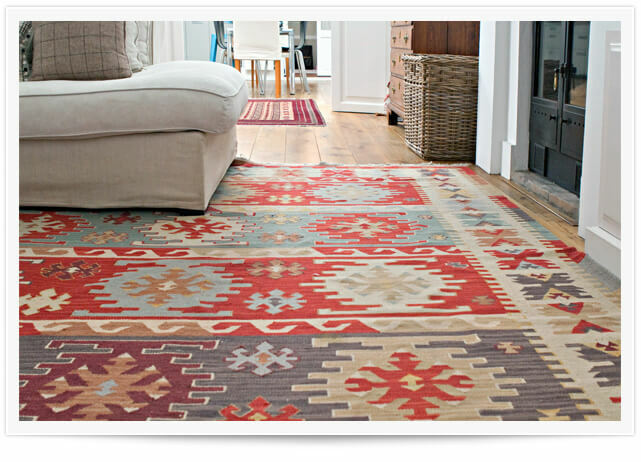 Rugs are big investments, so proper care and maintenance is important. By regularly cleaning your area rugs, you can extend the life, as well as brighten the colors and patterns of the rug, helping it to look like new. 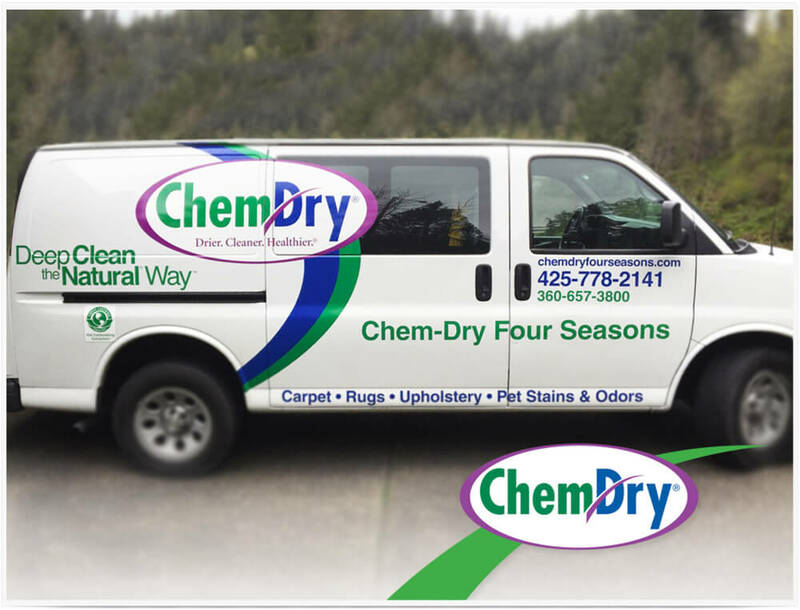 The trained area rug cleaners at Chem-Dry Four Seasons specialize in caring for all types of area and oriental rugs. And with the best cleaning solution around, your rug will stay cleaner longer. Accidents happen. Especially when you own pets. 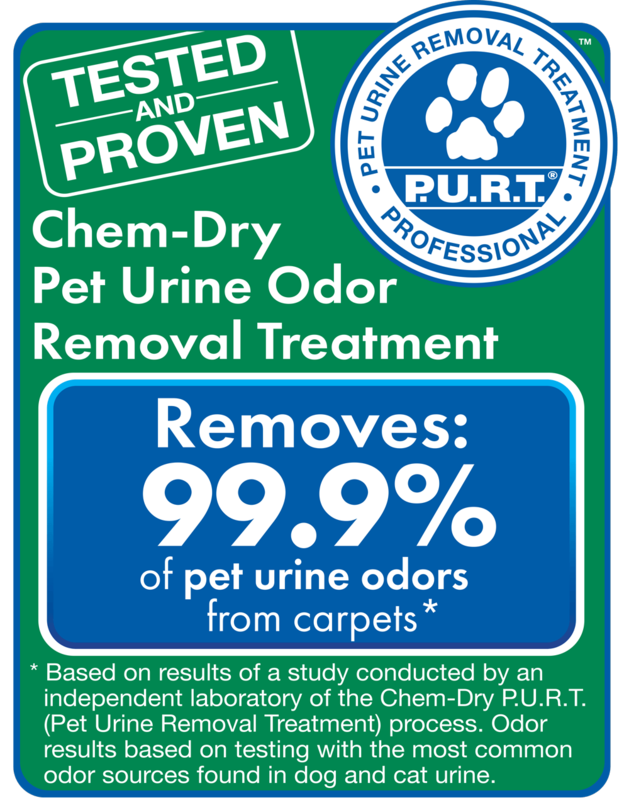 Luckily Chem-Dry’s® Pet Urine Removal Treatment (P.U.R.T.®) exists. It is a game-changing process that removes nearly every molecule of urine. Rather than simply covering the odor like some products do, we eliminate the odor at the source, which makes your carpets look good, smell good, and feel good for many days to come. 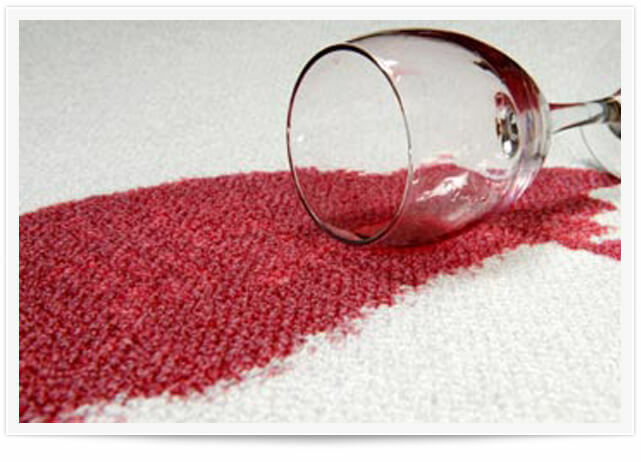 Not even the worst stains can withstand the specialty stain removal treatment from Chem-Dry®. Our cleaning solution is gentle enough to be safe for your carpet (and kids and pets! ), and powerful enough to get rid of nasty stains that most other carpet cleaners aren’t able to. With our carbonated cleaning solution and the industry’s best products, tools, and technicians, if we can’t get it out, no one can. 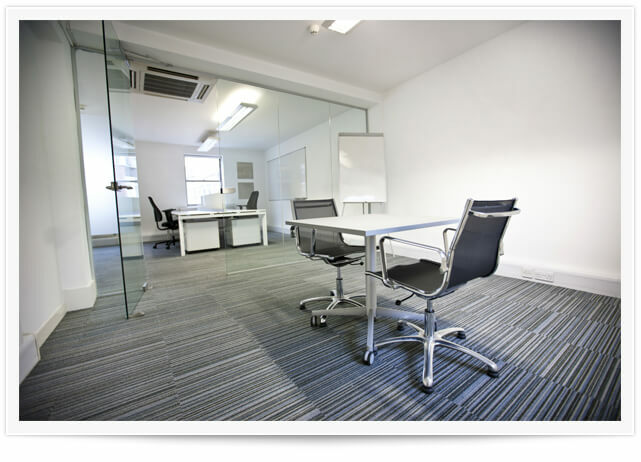 The services we offer work as well in your office as they do in your home. The purpose of our Commercial Cleaning services is to allow your local business to receive the type of professional cleaning that will show showcase your professionalism and quality. With our proprietary processes and environmentally safe solutions, your office or workspace will be in good hands. 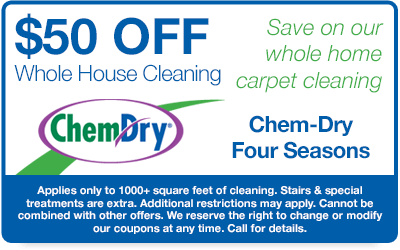 Save big on your next carpet or upholstery cleaning service with Chem-Dry Four Seasons. We change our coupons regularly, so don’t wait to claim your savings.